The Porsche Cayenne has been tuned by the guys over at Hofele Design. Hofele Design first released details of their tuning program for the Porsche Cayenne last November in the build-up to the 2011 Essen Motor Show. Today the tuning firm has released the first official photos of their latest program, built for both style and performance. 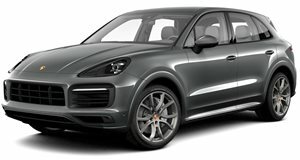 Dubbed the Cayster GT 670, the Cayenne boasts improved power from 245 to 315hp and 405 to 479lb-ft of torque on the 3.0-liter TDI V6 and from 380 to 481hp and 428 to 544lb-ft of torque on the Cayenne S Hybrid. A twelve-piece aerodynamic bodykit features front end attachments with openings for the original fog lamps, wheel arch extensions and a rear apron diffuser. As previously reported by CarBuzz, the program consists of four-tube stainless steel tailpipes fitted to the improved rear apron, carbon mesh inserts for the original Turbo front bumper and the new carbon fiber sports hood features air intakes. The SUV can sit on 20- or 22-inch designer alloys, and an electric lowering module lowers the Cayenne by up to 40mm while stationery or up to 50mph.The interior features a two-tone StarLight leather with nested stripes, leather crest inserts and offset decorative stitching. Carbon panels are offered for the console, dashboard and doors. The Hofele Design Cayster GT 670 bodykit for the Porsche Cayenne costs €8,000, the power upgrades cost €7,000 and the carbon fiber hood runs an extra €2,990.